Even though up front all Forex Brokers provide the same basic service, behind the scenes things are not that simple. In fact, there are at least three major ways in which Forex Brokers operate, and the type of broker you choose can have a fundamental impact on your trading experience. The first question that you have to ask when looking at a Forex Broker is whether or not they have a "dealing desk". This term dealing desk derives from good old fashioned offline trading, when financial institutions actually had a desk where the traders would sit and manage the institution’s investments. Nowadays a “dealing desk” is more likely to be a room filled with dozens if not hundreds of traders and analysts. In a brokerage firm, a dealing desk refers to the team of traders who manage the broker’s inventory and hedging operations. Brokers that work with a dealing desk operate in a closed environment wherein they set their own price rates and fill their clients’ orders either by matching the buy and sell orders of their clients, or by taking the counterparty of the order if it can’t be matched. 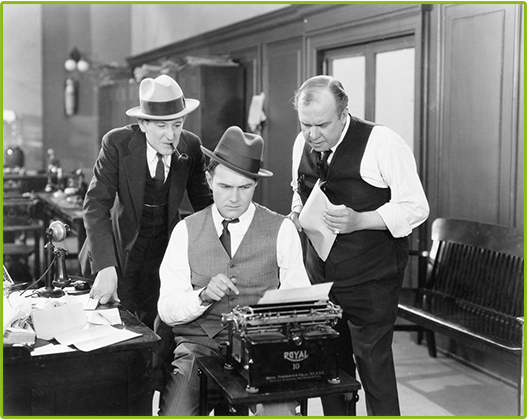 When a broker has a dealing desk they are called a Market Maker. Brokers that don’t have a dealing desk get their price quotes from the interbank market and process their orders by linking them directly to liquidity providers such as banks, hedge funds, mutual funds, or other brokers. 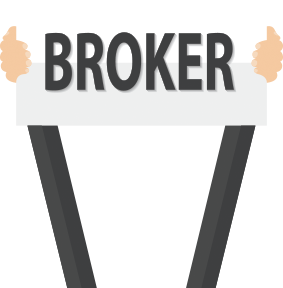 When a broker doesn’t have a dealing desk they are either an ECN (Electronic Communication Network) broker or an STP (Straight Through Processing) broker. As the name suggests, Forex Brokers that are “Market Makers” literally create a market for their clients, meaning that all Forex deals are conducted internally out of an inventory, either by finding a counterparty for each deal out of the pool of orders coming in from other clients, or by the broker taking the counterparty themselves. Because Market Makers don’t take the deals out into the interbank market, they are able to set their own prices. There is a common misconception among traders that Market Makers are basically betting against their clients’ success; however, this is simply not true, as these Forex brokers will quote both a buy and a sell price that move together. If the broker hikes up the prices on EUR/USD, for example, they will lose any money they gain from filling Sell orders on filling the Buy orders, and vice versa. Therefore, most of the profits made by these Forex brokers come from spreads. So why should it matter to you? It’s worth considering that the broker’s price rates might vary from the price rates quoted in the interbank market due to their inventory management interests. This makes a difference, especially to traders who follow fundamental economic data and events since the price volatility in the interbank market may not be reflected in the rates set by the Forex broker. As such we recommend checking the broker’s risk management policy to see how exactly they set their prices and manage incoming orders. Nevertheless, on the whole, Market Makers are in stiff competition with each other to provide the closest rates to the interbank market, and, therefore, the chances that their rates will differ greatly are slim. In addition, Market Makers are able to provide significant advantages to traders, such as almost instant trade execution, flexible leverage and fixed spreads. Instant execution – your trades are executed at the rate you selected. Prices may differ (slightly in most cases) from interbank market. Fixed spreads – you know what spread you’re going to pay when you enter the trade Liquidity may be low at times when the broker can’t find counterparties for your order and isn’t willing to take it up themselves. Wide range of leverages – for those with a healthy risk appetite these can go up to 1 x 500 with some brokers. There is risk that the broker may go bankrupt if the dealing desk isn’t managed correctly. No rollover fees – since most orders are offset by counter-orders, no currency actually changes hands, and therefore there is no additional swap fees to pay. A true ECN broker connects traders directly with counterparties in the interbank market. The only role the broker plays in the transaction is creating the link between buyers and sellers... they do not set their own price rates or manage inventories in any way, as all the price rates are taken directly from the interbank market. ECN brokers make their profits either from spreads that they charge on top of the spreads between the interbank Buy and Sell rates or from fixed trade execution commissions. However, because spreads in the interbank market are dynamic, ECN brokers cannot afford to offer fixed spreads as this would risk eliminating their commission. While this might sounds like the simplest solution for a Forex trader (and it can be for some), it does require a much higher investment capital as most parties in the interbank market only trade very large lots. Therefore, ECN brokers can require minimum account sizes in the ranges of $1K - $50K. In addition, because there is no guarantee that a party in the interbank can be found to take up your deal at the quoted price, ECN brokers are sometimes unable to execute your trade at that price and have to issue a re-quote or simply reject your order. So while the brokerage model of an ECN broker is very simple, for the client this type of broker presents a number of important limitations. Direct price rates from the interbank market. Dynamic spreads – you don’t know what the spread will be when you enter a trade. Tight spreads. Re-quotes and order rejections. The broker does not trade against you. Limited leverage (up to 1X100). The broker cannot bankrupt themselves through trading against its clients. Rollover fees. 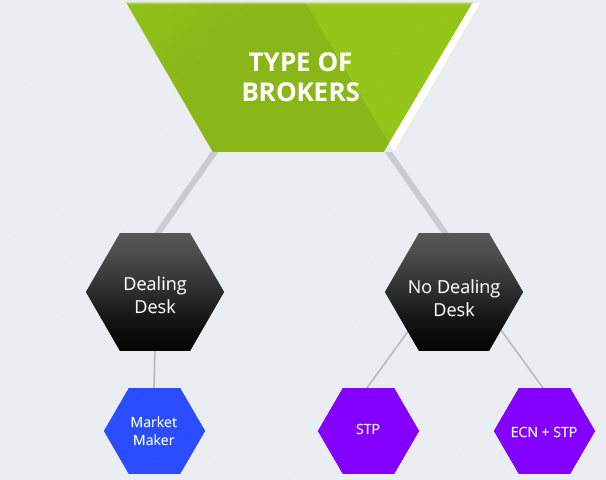 Like true ECN brokers, STP brokers don’t have a dealing desk, but they employ some of the practices of Market Maker brokers in order to provide more flexible trading conditions to their clientele and bypass some of the limitations of trading exclusively within the interbank market. Most of the time, this type of broker displays price rates that are identical to the interbank market rates, and as a first priority, STP brokers process trades directly in the interbank market just like an ECN broker. However, when a counterparty for an order cannot be found in the interbank market the STP broker may choose to act like a Market Maker and match the order within its own client base or take up the counterparty of the order itself. Some STP brokers utilize complex algorithms to determine whether it is more profitable for the broker to route your trade to the interbank market or to trade against you themselves. So, for example, some would route large trades that are likely to be profitable to the interbank market and cover small losing trades themselves. In this way, the broker can profit from the small losing trades, and not take the chance on bigger trades by taking them out to the market. Some consider this type of broker to combine the best of both worlds, as they don’t manipulate prices and at the same time are able to execute smaller trades without issuing re-quotes or rejecting as many orders as an ECN broker. You should still always check out an STP broker’s risk management policy to learn about their exact practices. Re-quotes or trade rejections are rare, mainly in times of extreme volatility. Rollover fees. Wide range of leverages – up to 1 x 500. So whenever you’re looking at a broker, make sure to find out which type of broker they are so you know exactly where your money is going when you make a trade. At a Glance: What’s the quickest way to know what type of broker you’re dealing with? Spreads and fees are the first and best major indicator of the kind of broker you’re looking at. Keep in mind that this is only an indicator, it’s always best to check the broker’s risk management policy to make sure!